use in displays or as standalone features. These look particularly attractive with small LED lights around them. months and for the Christmas period. broken up and used for kindling rather than being sent to landfill! 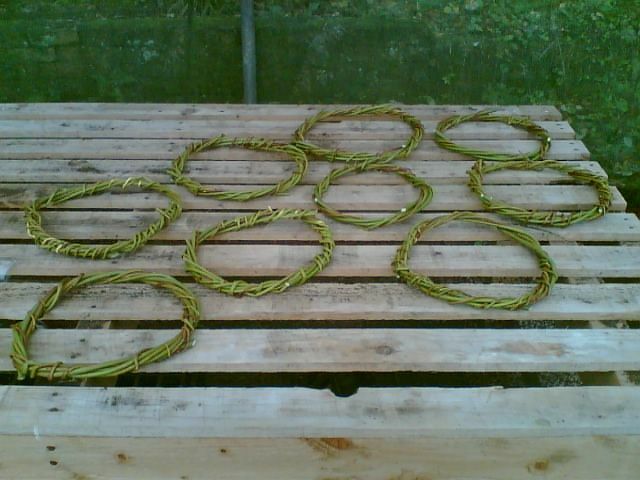 Trees & wreath bases are available in October, November & December. 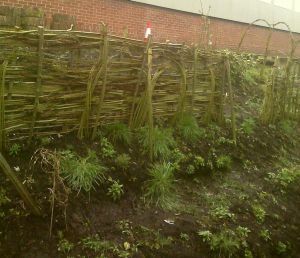 Woven willow and hazel hurdles, living willow fencing & erosion control. 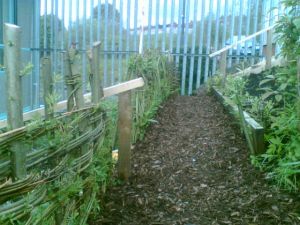 (basically the mix between a fence and a hedge!) which we would weave live stems around sturdy hazel uprights. 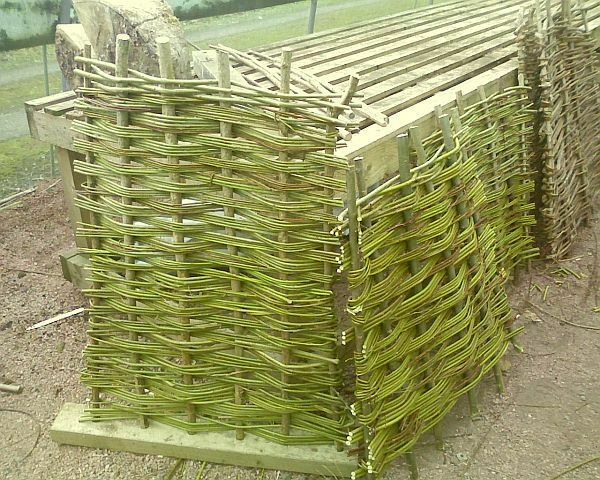 Prices for living hurdles depend upon the length and willow required and the distance. Please enquire for further details. or other man made or potentialy polluting products involved, just natural willow (and possibly hazel). feature before the new growth starts once again. A different and unusual present! Recently, much of the old willow at sorn has been collected, bundled and cut in to short lengths then fired for a couple of hours to produce artist's charcoal for use in drawing and sketching. 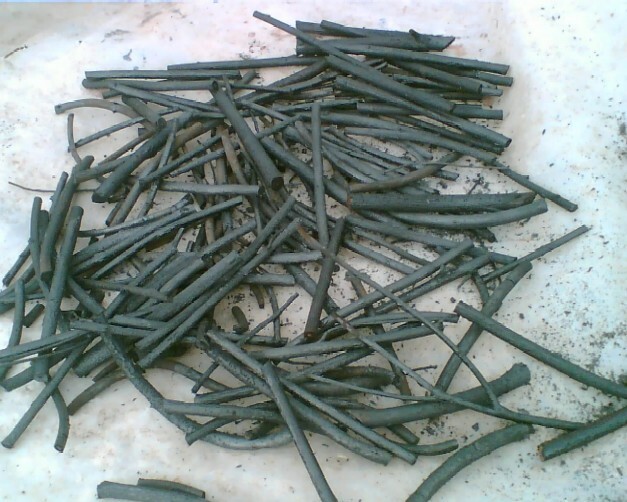 This traditional method produces a high standard of charcoal which is excellent for artwork and smudges well. Packets of charcoal will be on sale at forthcoming events in Ayrshire where FEI are represented. Future plans include charcoal burning on a larger scale. Visit our charcoal burning page for more information. 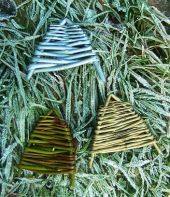 Small packets of 6-7 thin stems are available for £1.50 per packet, together with thicker, larger diameter charcoal for larger scale work. Woven willow torches, either approx 4' height (£10) or 2' height (£6) complete with glass jar and tealight candle, or use your own jar. 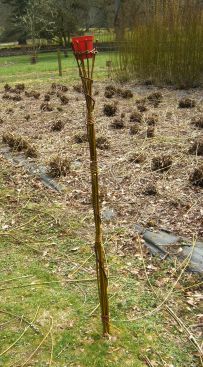 If pushed in the ground at the right time of year it may also become a living willow torch! 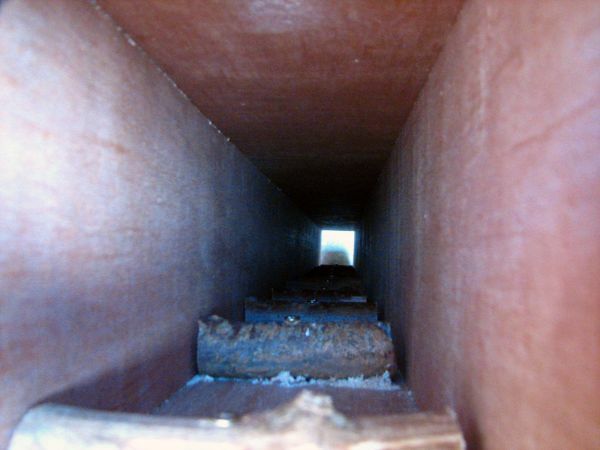 well as for steaming and bending certain wood such as ash. 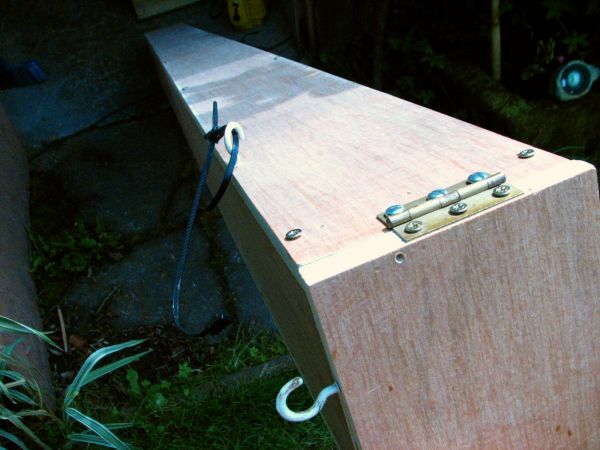 Images, other details and how successful this is will appear on this web page! 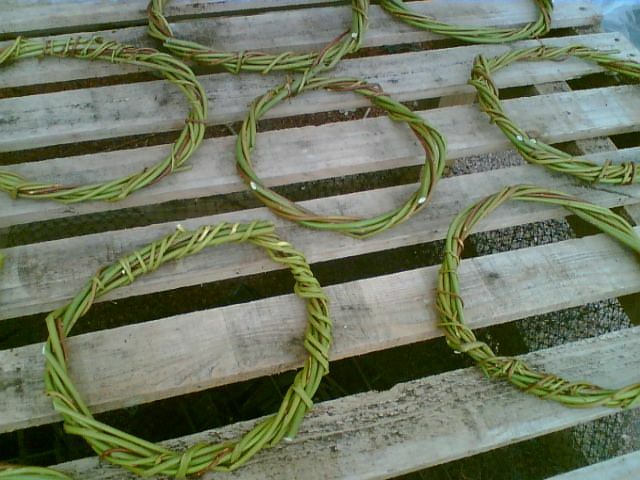 have facilities to offer dried basketmaking willow bundles through the summer months for 2012.